eCase HR empowers HR departments to take control of their organization’s HR processes. 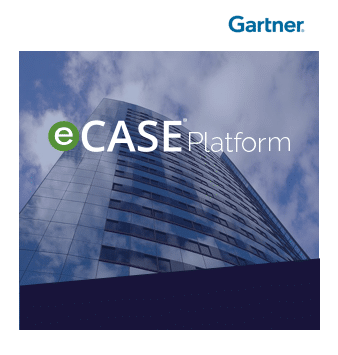 Built on the eCase Platform, each eCase HR app comes pre-built with configurable workflows, a library of forms, reports, correspondence, and best practices. See for yourself! eCase HR applications can be used on their own or combined with each other for a single, unified view into the employee experience. Improve the onboarding experience for new talent with an interactive portal, provisioning requests, and communication tools to get them mission-ready for day one. Centralize personnel security information and accurately track employee background checks to properly vet and grant access to new employees. Set objectives, track progress, collaborate and capture employee evaluations, approvals, and documentations. Manage and track employee interactions from disciplinary actions to performance improvement plans. Connect labor, unions, and management on issues from grievances to negotiations through investigations and arbitration. Set employees up for success by enabling self-service requests and asset fulfillment. Manage remote work requests and track validation of required paperwork. Make managing workers comp claims painless with online processing and case tracking. Quickly identify, enroll, or respond to employee retirement benefit questions and requests. eCase HR offers one single view into daily HR operations and can be accessed via the web, smart phone, or tablet. Track employee interactions and HR case workload, and stay on top of timelines and deadlines through real-time dashboards, visualizations, and reports. Interactive web portals allow employees to submit HR requests, update personnel information, monitor progress, and correspond with HR departments. HR applications serving a range of HR functions allow you to centralize and standardize your processes on a single platform. eCase cloud-based HR solutions are delivered on a powerful platform that’s scalable, configurable, adaptable, and secure. eCase enterprise-grade HR applications can be quickly developed and deployed in the AINS FedRAMP-certified Cloud or on premises at your desired facility. eCase HR is now available on the National Finance Center BPA for Non-Core HR Solutions.